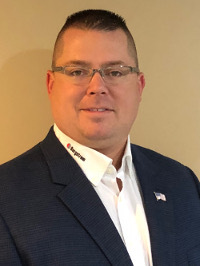 Bergstrom Inc., a leading designer and manufacturer of cab climate systems for commercial trucks, off-highway machines, military vehicles, specialty vehicles and niche automotive markets, has promoted industry veteran Mike Aldred as National Sales Manager for its Bergstrom Standard Products (BSP) division. In his new role, Aldred – who has been with Bergstrom for four years – will be responsible for further growing the BSP product line within OEM, commercial, military and specialty vehicle markets. Aldred has been in the automotive industry for 18 years. He joined Bergstrom in 2014 and most recently held the role of Business Development Director. In his new role, his focus will be on market analysis, strategy development, U.S. product design, standardization and marketing. Bergstrom’s BSP division officially launched in 2016 and has grown steadily ever since. The business unit provides HVAC solutions to OEM and aftermarket customers across the world who require a flexible and versatile approach to their HVAC challenges.